More than 50% of Estonia, the country where Iron Baltic is located in, is covered in forests. This gives us a unique opportunity to test and develop our ATV & UTV forestry products in the environment in which they are meant to be used. 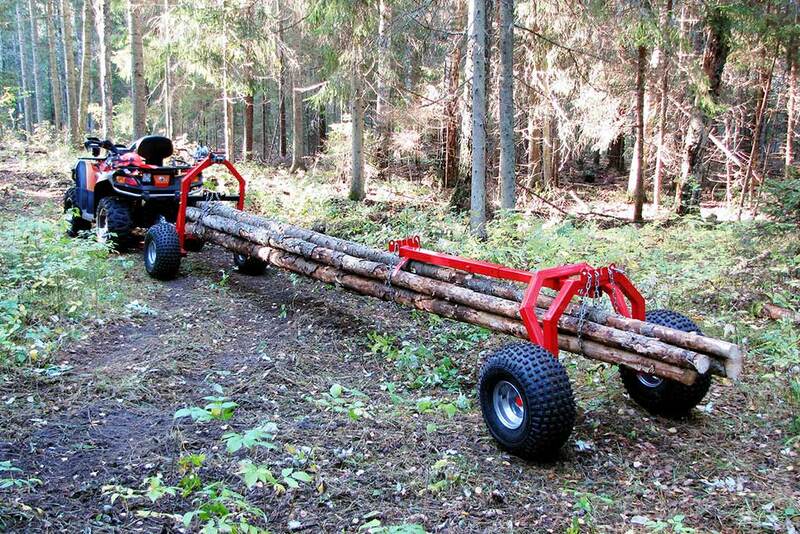 All of our timber trailers, log haulers and splitters are a result of careful prototyping and thorough testing. 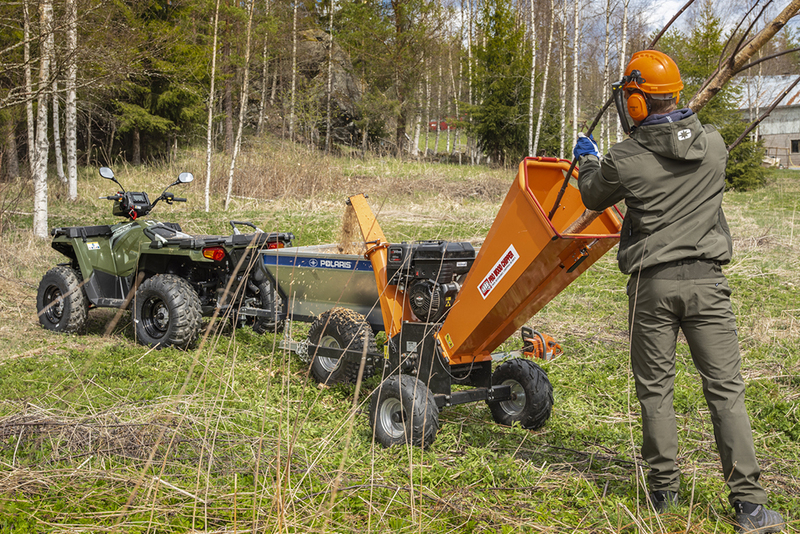 Our forestry products have been developed specially for all-terrain vehicles (ATVs) and side by sides (UTVs) to make small scale forest work around your property easy and convenient. Using small and light vehicles means you can continue working in any weather and even in thigh and hard to reach places. 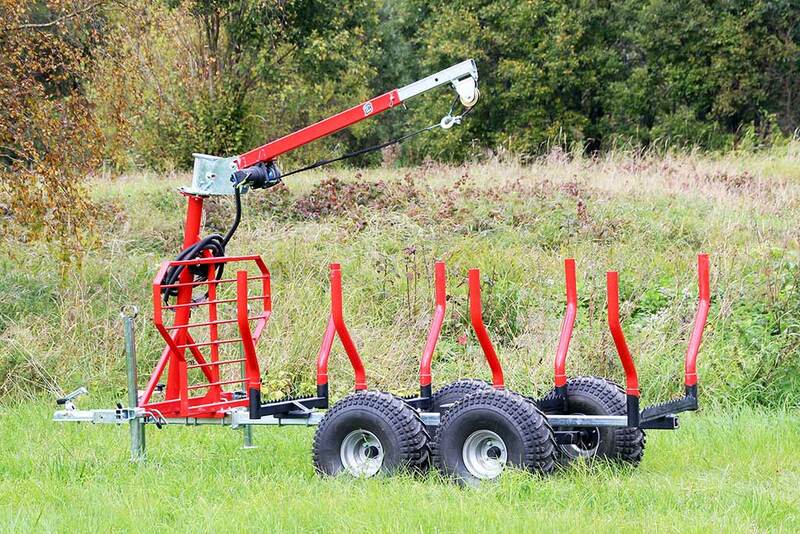 The weight of the equipment is also easy on the terrain and does significantly less damage than heavy forestry equipment like tractors and harvesters. 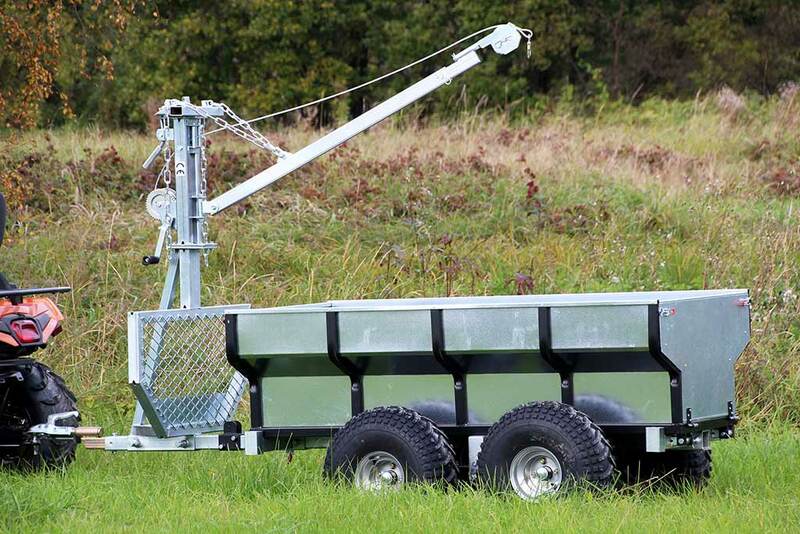 ATV and UTV timber trailer IB-1000 is our top of the line timber trailer for everyday use in challenging conditions and places where larger equipment cannot operate in. 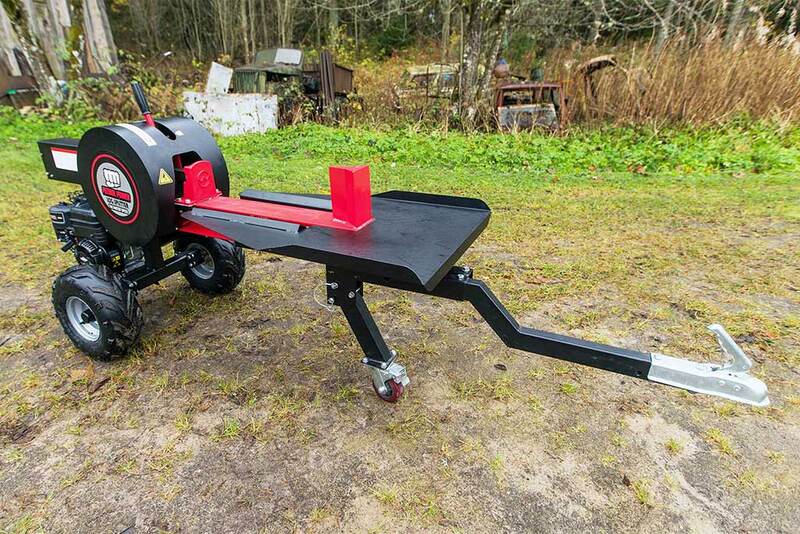 ATV and UTV timber trailer ECO-700 is a one of the more affordable trailer solution in our lineup with simple yet durable construction initially designed for log hauling. ATV and UTV log haulers are the perfect transportation means in tight and otherwise hard to reach spaces, where larger equipment like tractors cannot operate. Our kinetic log splitters are ideal for going through large quantities of wood both at home and commercially with no hydraulic pumps, valves, hoses, or oil to worry about. Our wood chipper is compact, simple and reliable heavy duty chipper suitable for small scale forest work, park and property maintenance.